Rick Smith is an assignment photographer based in northeast Pennsylvania with easy access to NYC and Philadelphia metropolitan regions. For nearly 20 years, Rick has been photographing national assignments for The Associated Press, daily newspapers, editorial magazines, industry trade publications, corporations, colleges and universities. 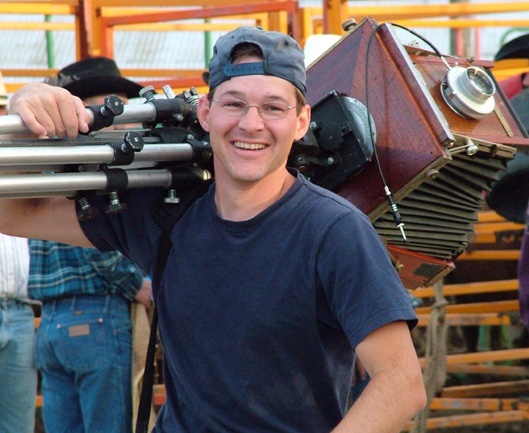 Rick specializes in large format 8x10 photography. His unique approach has granted him access into the hearts of rugged young cowboys, weathered farmers and flood victims of Hurricane Katrina. After studying photography at the Art Institute of Philadelphia he spent several years assisting editorial and fashion photographers in Philadelphia and New York City before transitioning to the world of photojournalism. Today, Rick continues to document his project work throughout and accepts national and international assignments. Apr - Oct 2014: Heart And Soil : Our Farms, Our Legacy; SIGAL Museum, Easton, PA.
Nov 2012 - Jan 2013: PA Photographers Group Show; Banana Factory, Bethlehem, PA.
May 2012: The Nazareth Center for the Arts; Nazareth, PA.
March - April 2008: Broken Levees- New Orleans; Art Institute of Philadelphia, Philadelphia, PA.
June - July 2007: Broken Levees- New Orleans: Peach La Tree Fine Art Gallery, Bethlehem, PA.